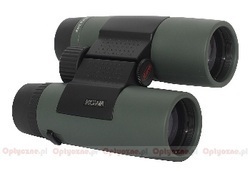 One of the main item in our range of brassOptical Binocular. Our clients can avail from us a special range of brass Binocular that are amongst our highest selling products in the market. 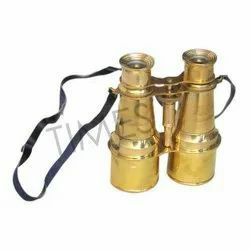 Conceptualized and manufactured by a team of experienced professionals, these Binoculars are provided with or without leather case. We have in store for our clients, a wide range of globe stand Binoculars 8" that are offered to our clients in the size of 8". These binoculars are fabricated using wood and brass for the body, optically clear lenses and brass polish for finishing. We undertake customization of these binoculars to meet the varied requirements of our clients. We have in store for our clients, a wide range of globe stand Binoculars 6" that are offered to our clients in the size of 6". These binoculars are fabricated using solid brass, optically clear lenses and brass polish for finishing. We undertake customization of these binoculars to meet the varied requirements of our clients. These nautical products include antique replica compasses, binoculars, telescopes, hour glasses, telephones and other items. - 100% waterproof. O-ring sealed and nitrogen purged for reliable, fog fre performance. We deal with all type of Survey Instrument, just send your quotation at our email id and get and estimate within 24 hours.